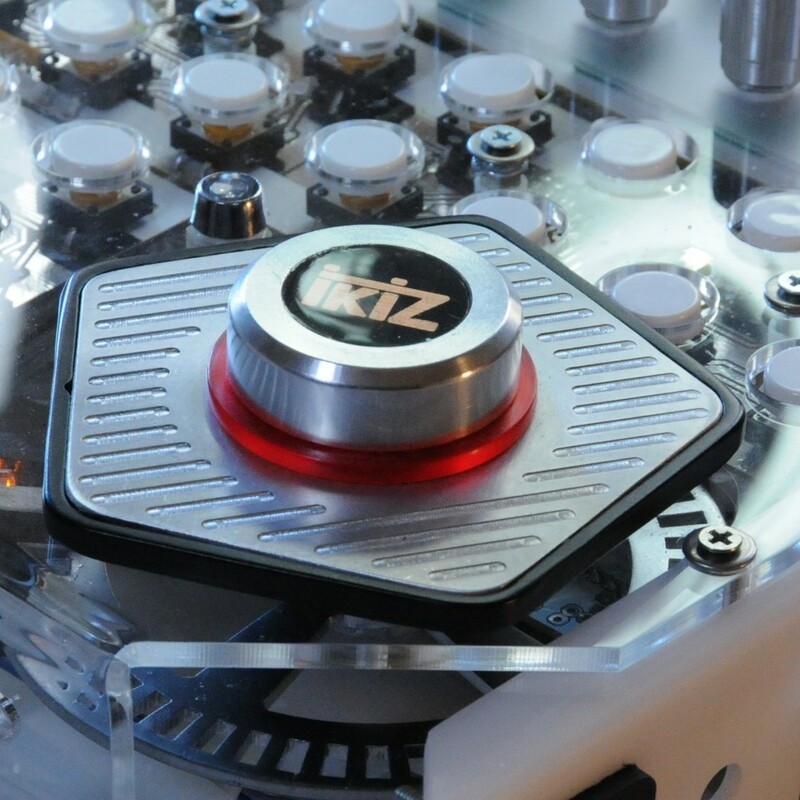 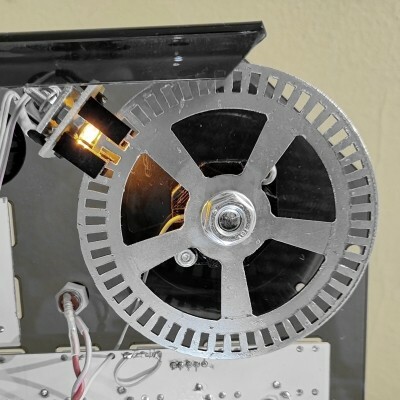 The Optical Spinner is a type of rotary modifier based on an optical encoder and a touch-sensitive surface, capable of functioning as a scratch wheel on a DJ console. 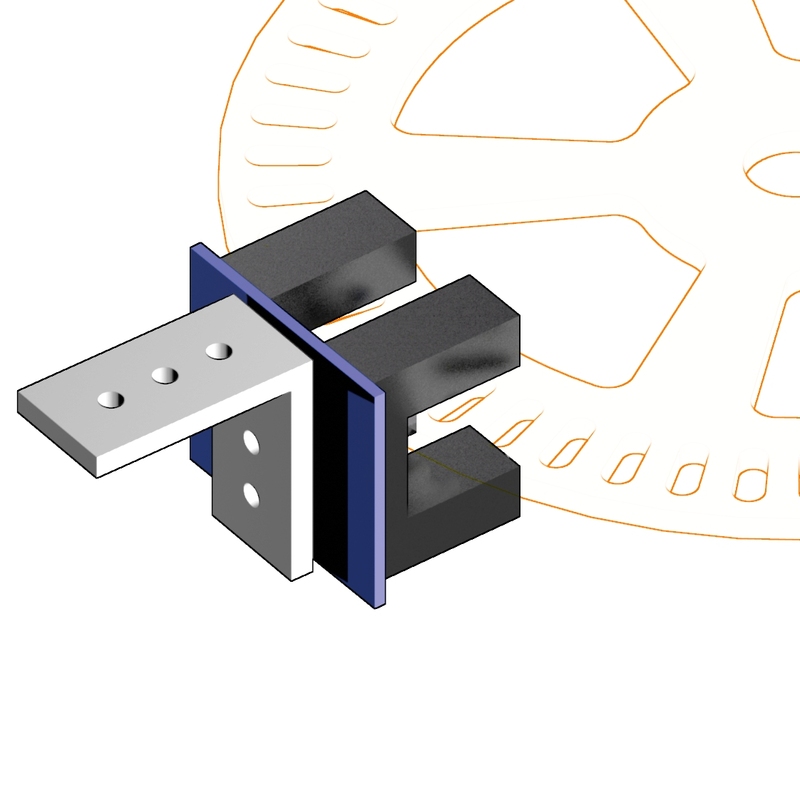 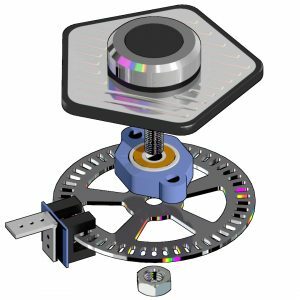 The touch_wheel section consists of all the rotating elements: the coded wheel, the central axis screw and the touch plate. 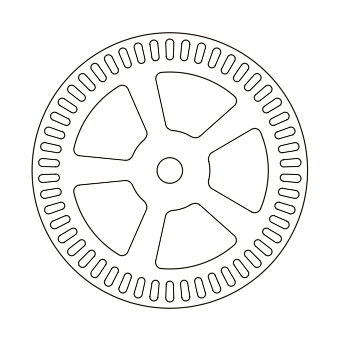 The coded wheel can be laser-cut or 3d printed, starting from the DXF file available here. 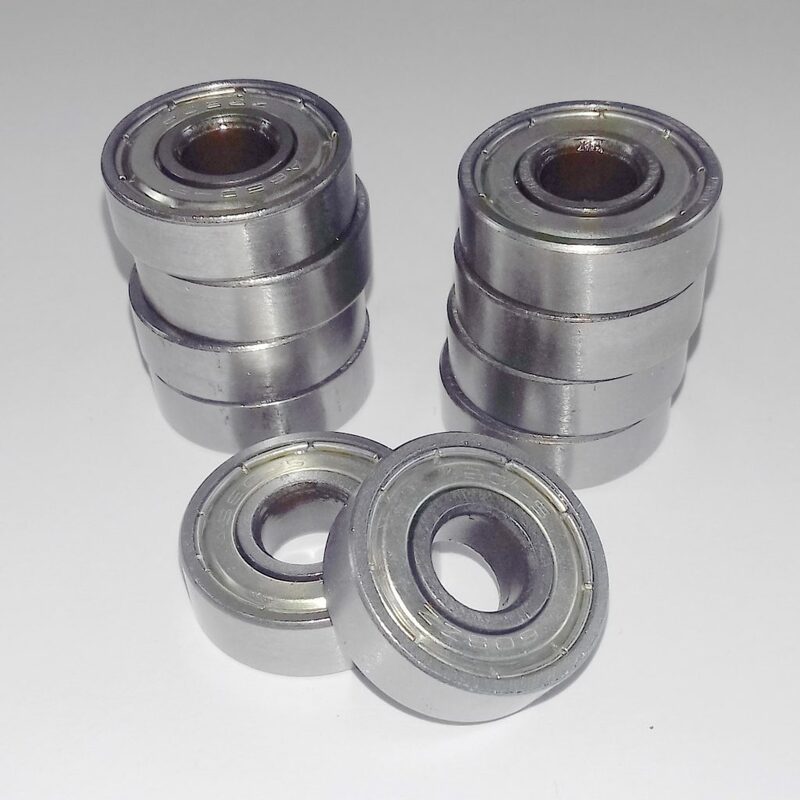 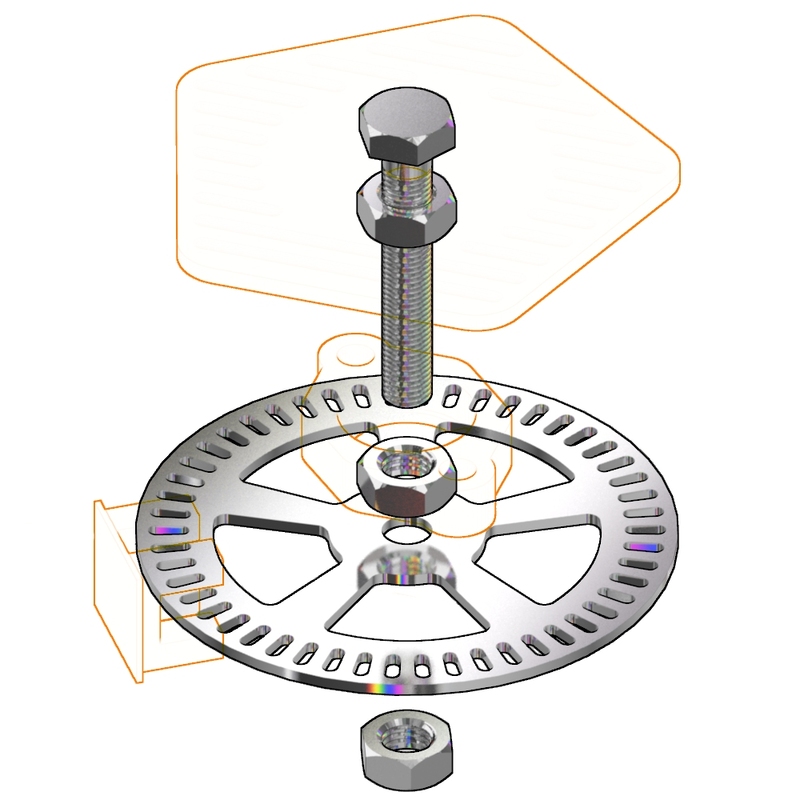 It revolves around a central axis consisting of an M8 metal screw, fixed with metal or nylon M8 nuts. 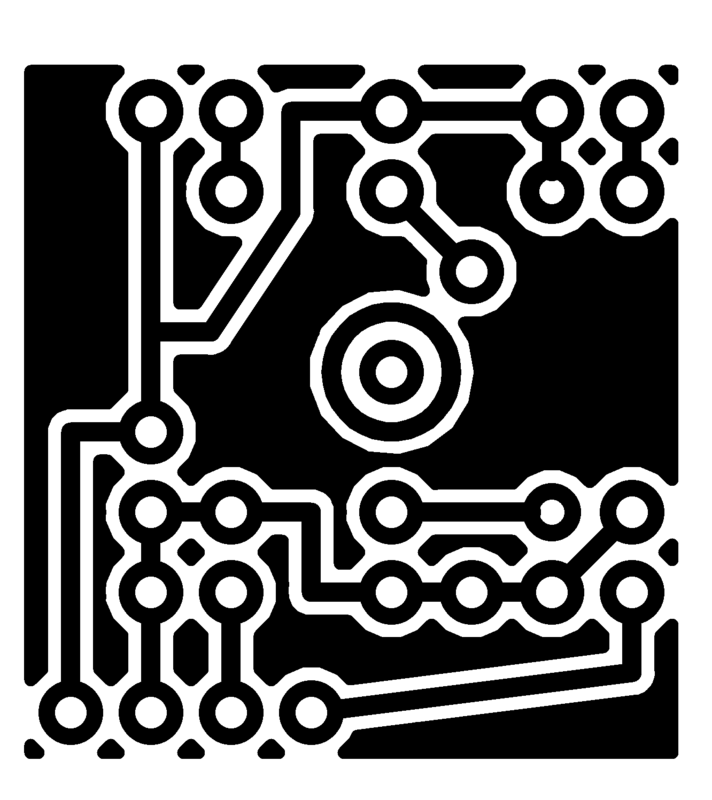 The conductive plate can be crafted in the most varied ways and styles, according to personal taste. 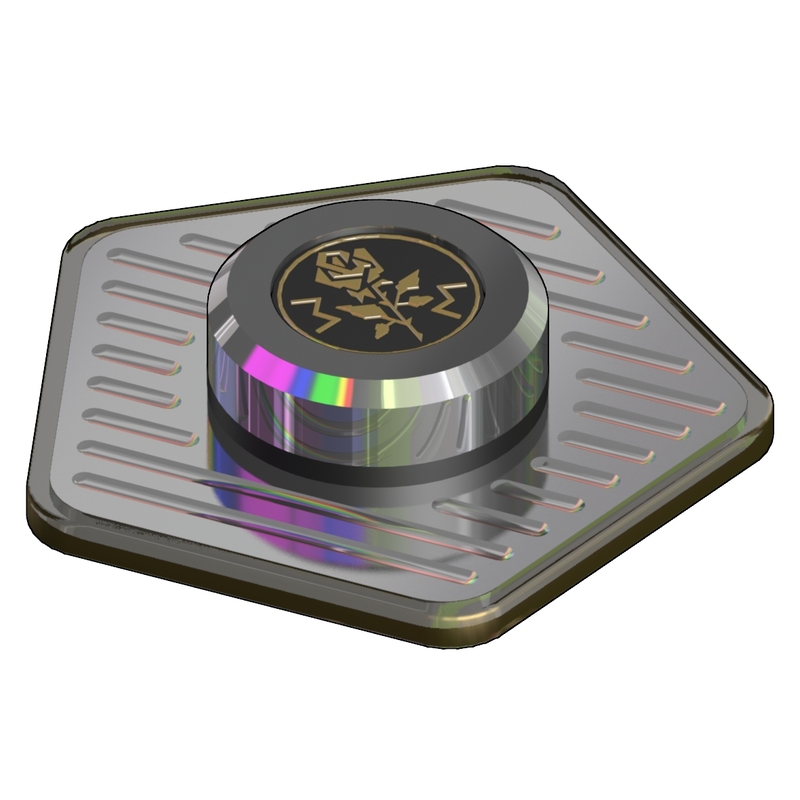 In the classic Dart design, a plastic edge has been added, which being non-conductive, allows you to play better with the touch sensor. 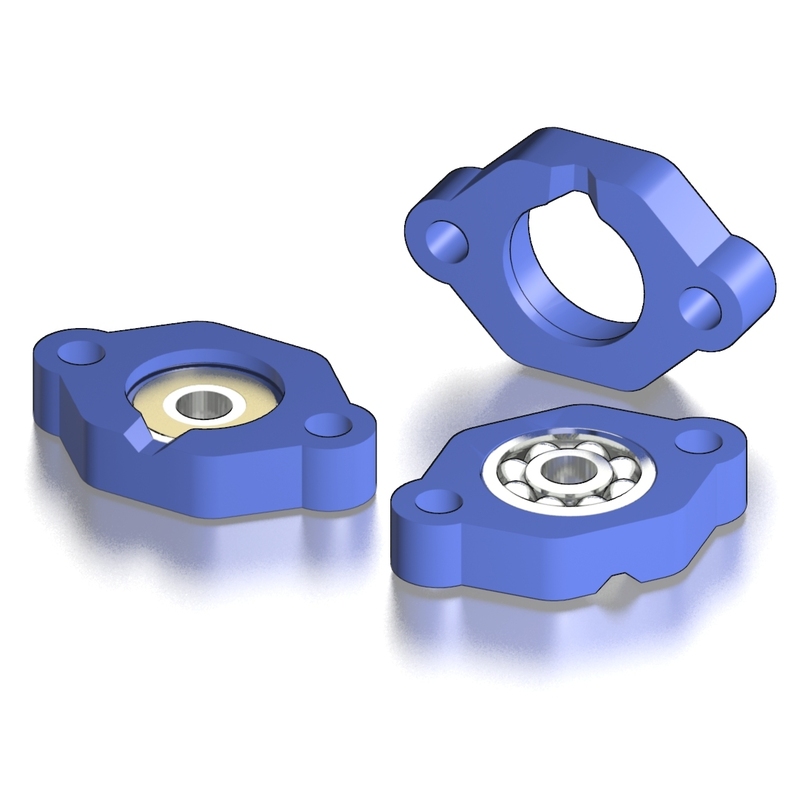 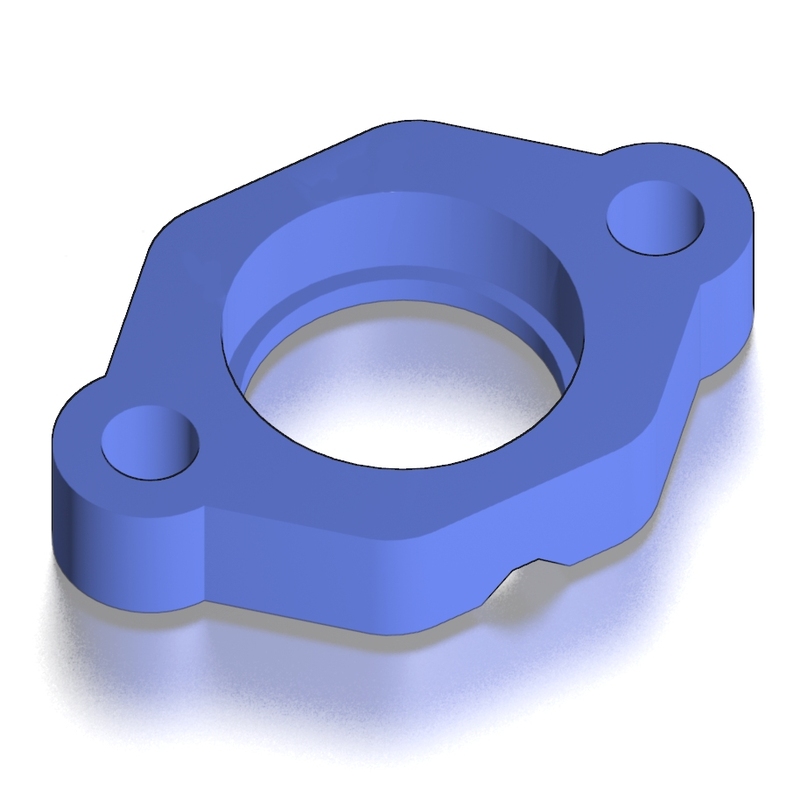 To realize the Spinners a common ABEC11 skateboard bearings of size 8x22x7 has been chosen, it is fixed to the MOBOX panel with a support that can be 3D printed – .STL files are suplied in the “SPINNERS” package different vesrions. 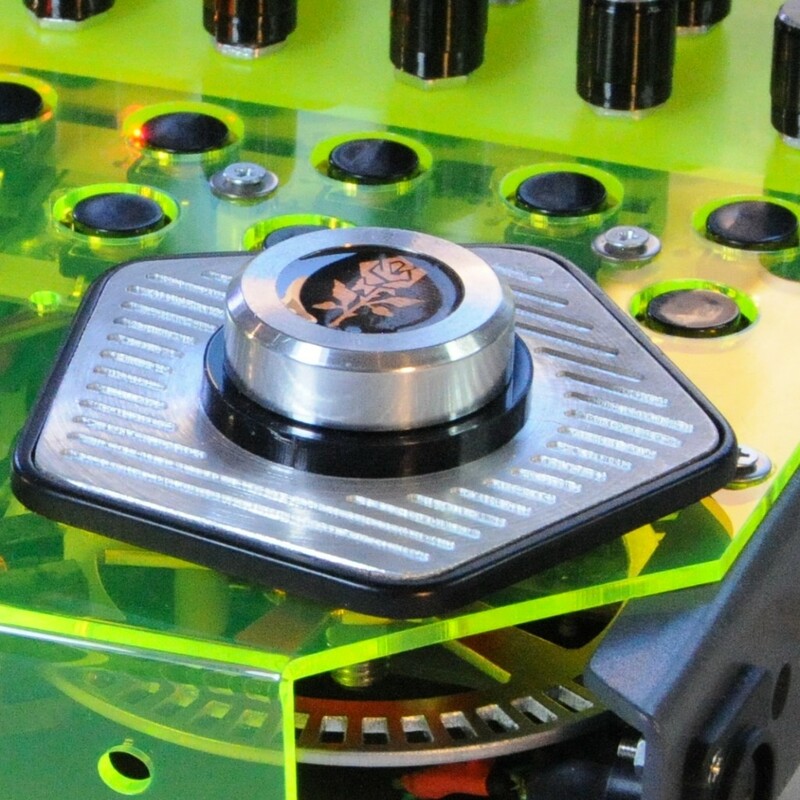 The bearings are directly wired to the touch_sensors on the Dart_Mobo, so all the metal elements, up to the touch_wheel, are made sensitive to touch, thanks to their conductivity. 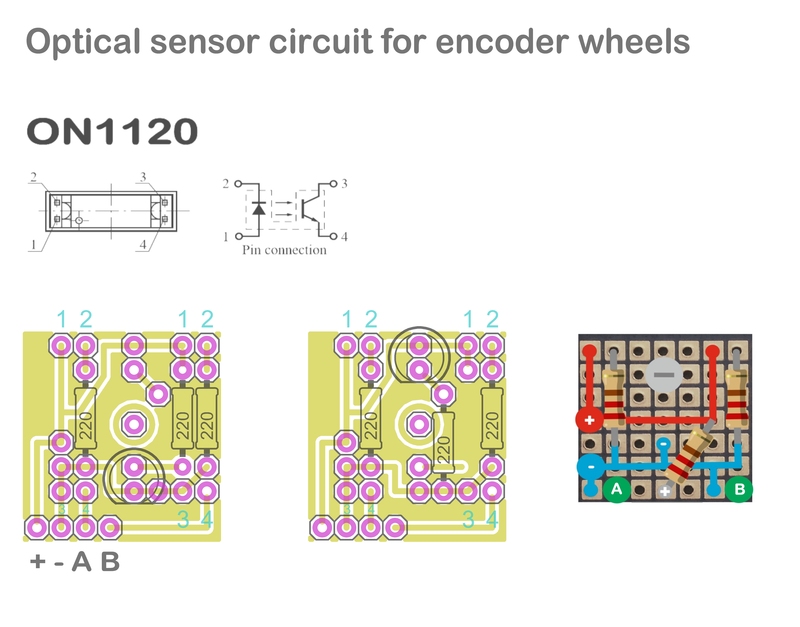 The optical encoder is a circuit consisting of two ON1120 photo interrupters and can be easily assembled even on a small vectorboard. 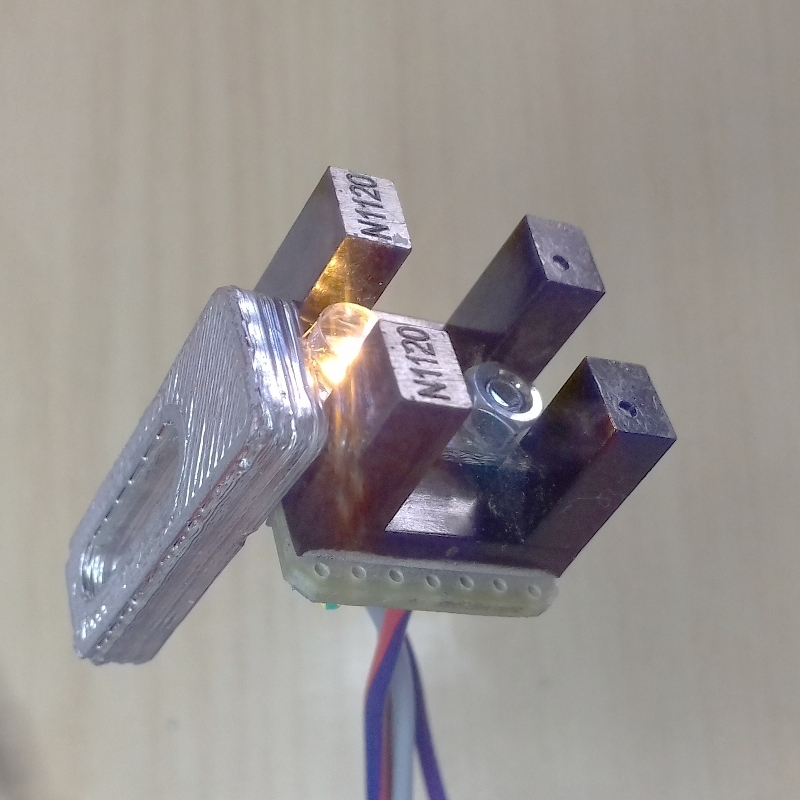 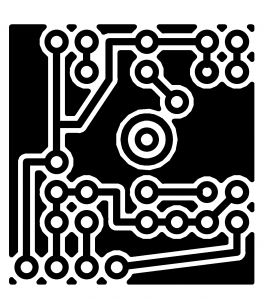 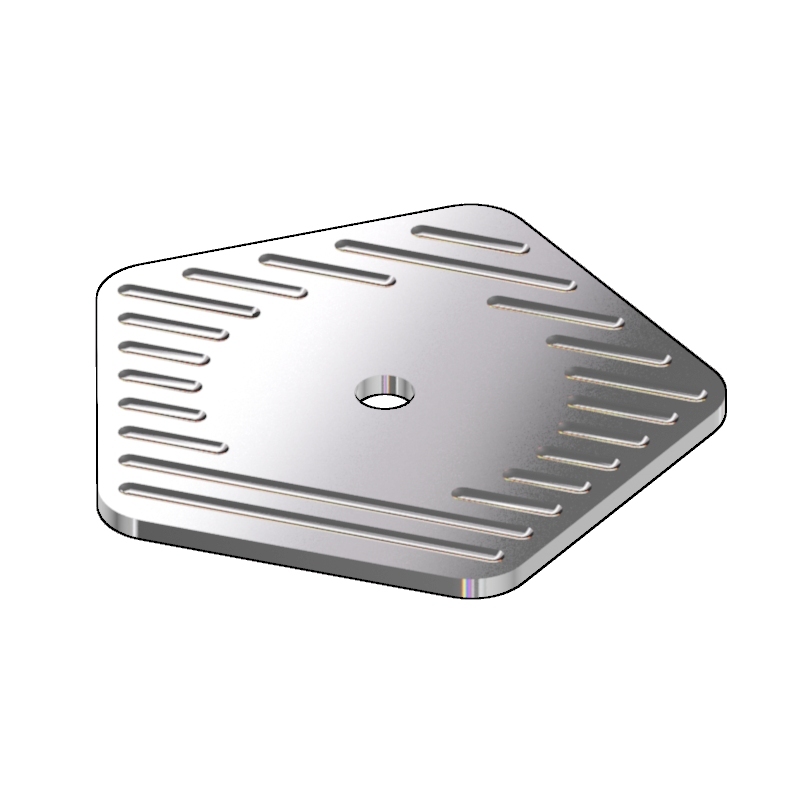 Our PCB was designed to accommodate an LED, which has only an aesthetic function. 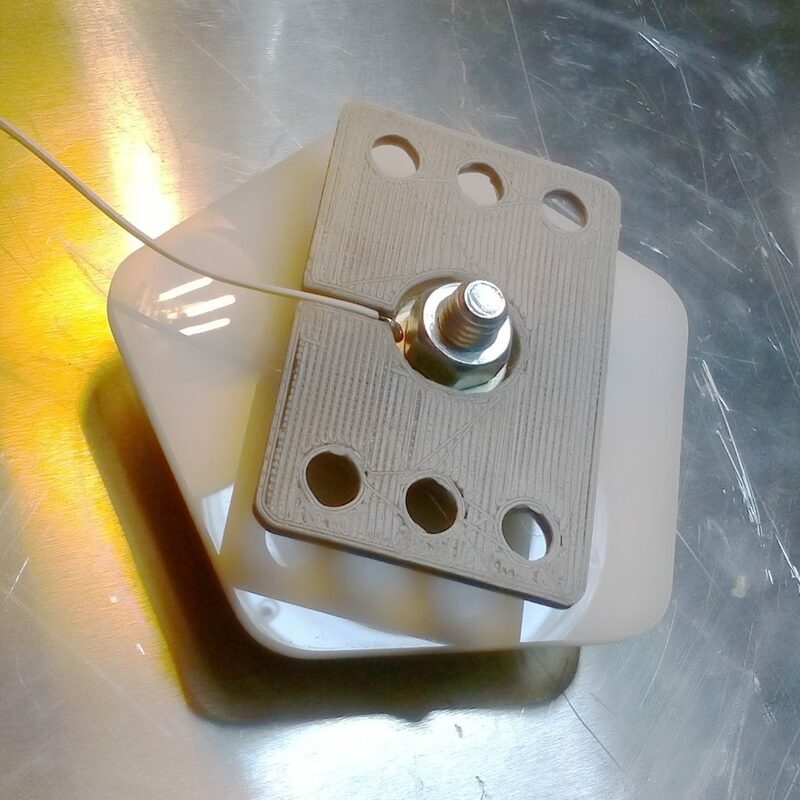 The central hole allows this sensor to be mounted in various ways inside the Mobox. 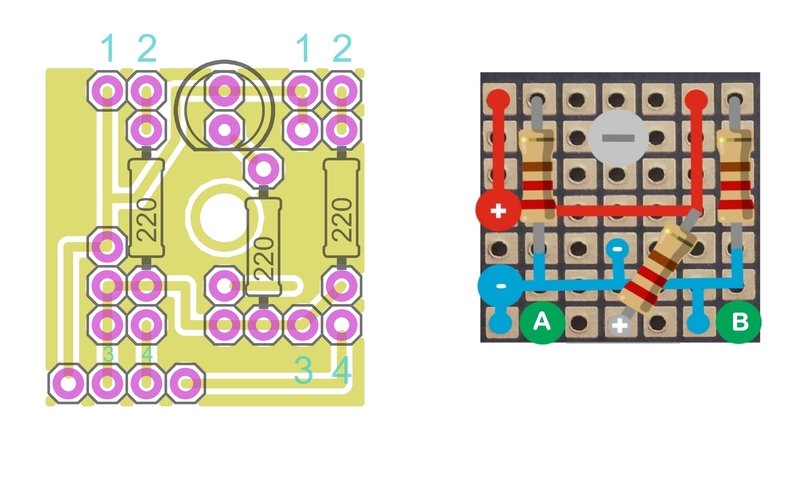 It connects to the Dart_Mobo in the same way as the conductive encoder.